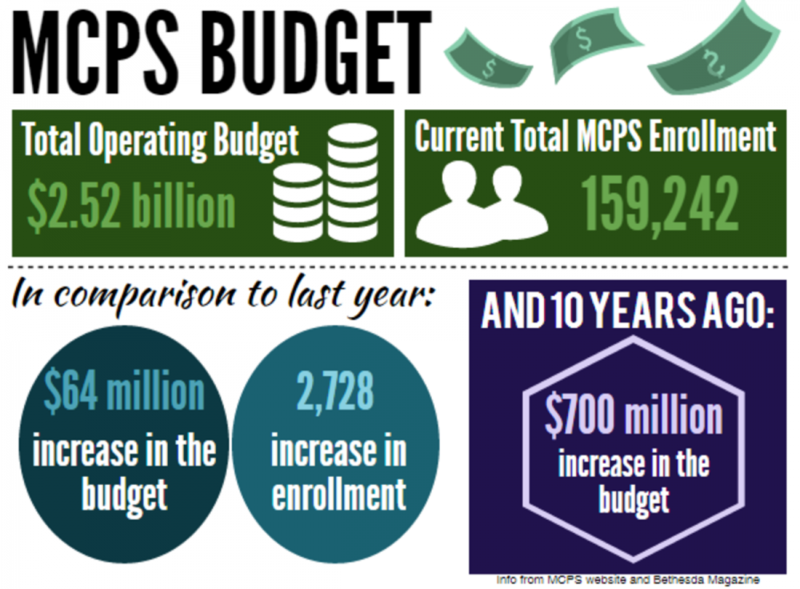 The BOE voted unanimously (8-0) Feb. 14 to approve the $2.52 billion operating budget proposed by Superintendent Jack Smith, according to an MCPS press release. The allocation marks an increase of $64.24 million from last year’s budget. Much of the increase is to keep pace with the steadily rising MCPS student population—enrollment increased by nearly 3,000 students this year—and still offer the same services. About $11 million of the increase will go toward “strategic priority accelerators,” which are intended to improve student performance and lower achievement gaps, Onijala said. These accelerators, outlined by Smith at the beginning of the year, are grouped into five categories: teaching and learning; accountability and results; human capital; community partnerships and engagement; and operational excellence. As for how the change will affect Whitman, assistant principal Rainer Kulenkampff said that any budget increase is worthwhile, especially as the number of students at Whitman increases. The student population just surpassed 2,000 students, he said. The Board will now submit the budget to County Executive Isiah Leggett for consideration. Leggett will release his recommendation in March and hold public discussion meetings in April. The county budget is expected to be approved in May.